One thing I love about being a professional photographer is that sometimes I get a special opportunity and access to capture an historic event or milestone. I had just such an opportunity recently when I was called to photograph the final flight and retirement celebration for Delta’s 747-400, the Queen of the Sky. The 747 first lifted skyward on Feb. 9, 1969 and it will be sent to its final resting place, the airline “boneyard” in Arizona, in January, 2018. 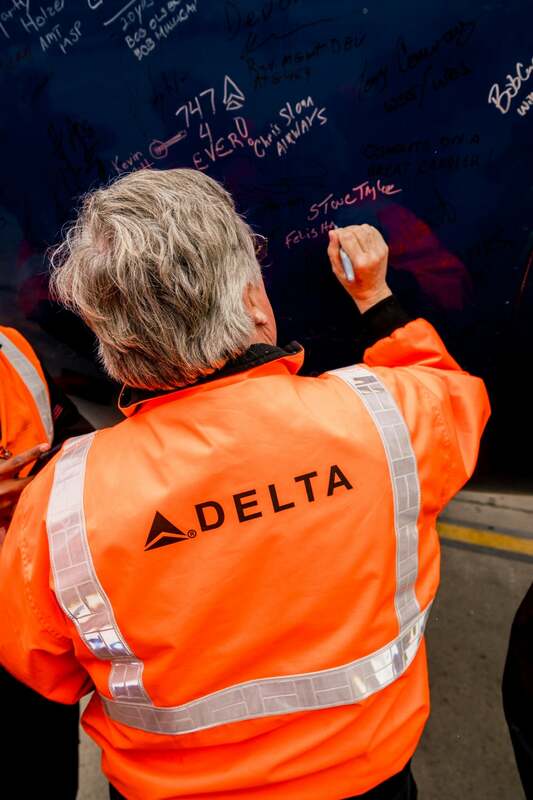 Minneapolis, Delta’s second largest hub, was the final city of Delta’s farewell tour for their employees to say goodbye to the Queen. 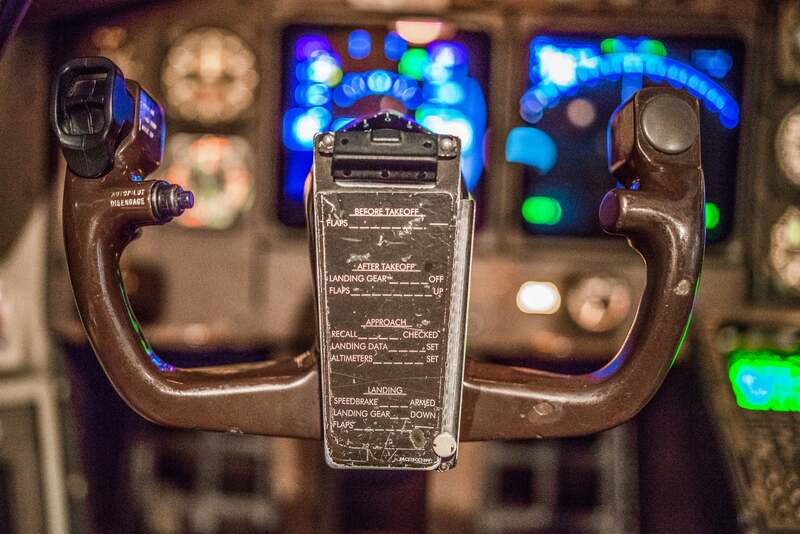 I was tasked with capturing the landing in Minneapolis and photographing the interior of the iconic aircraft. On that typical winter day in Minnesota, I was escorted to the snow covered infield, adjacent to the runway where the 747-400 was scheduled to make its final landing in the Twin Cities. I was told by airport security that photographers usually aren’t allowed close to an active runway, but this was a special case and I was allowed get within 100 feet of the runway. 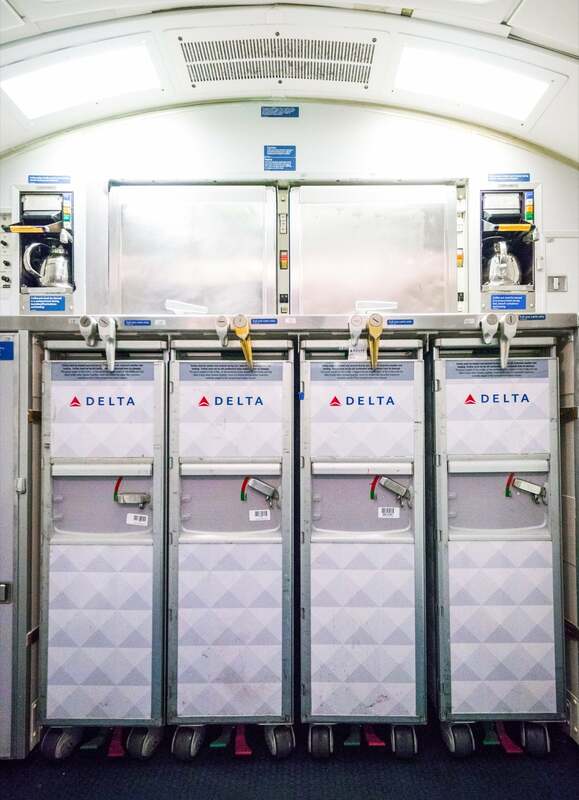 This airplane was a big deal to everyone who works at the Minneapolis airport, especially to Delta and its family of employees. That was evident by how many people stopped to watch her land for the last time in Minneapolis, and the willingness to bend the rules. To photograph the landing, I knew I would need a long lens despite how close I was able to be to the tarmac. My Sony 100-400mm G Master lens with a 1.4 extender on my Sony α7R III was an ideal combination. The α7R III gave me a large file for enlargement and I was able to use its fast shooting speed for several images.The 100-400mm G Master gave me the ability to zoom as the 747 approached and touched down and it’s beautifully sharp across the zoom range. Sony α7R III. Sony 100-400mm f/4.5-5.5 G Master lens with 1.4X tele-extender. 1/800-sec., f/8, ISO 1600. As the plane approached, it looked like she was going to make a normal landing. 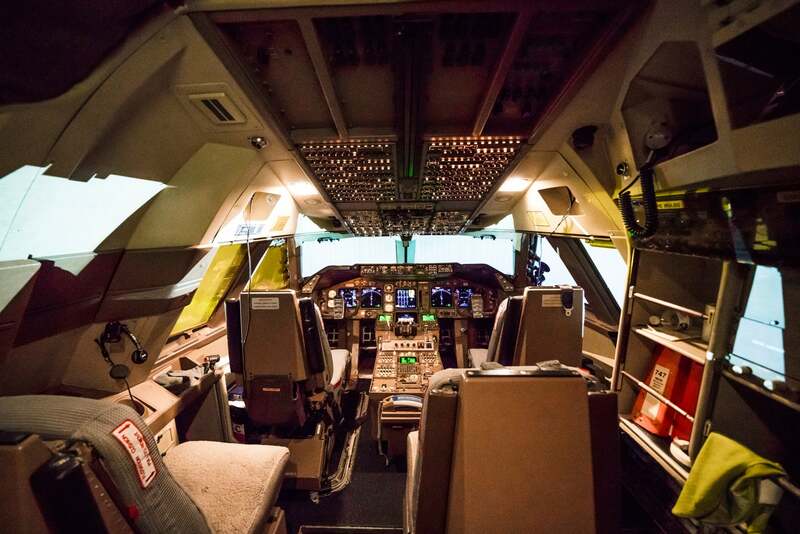 Instead, the pilots held the aircraft about 200 feet off the ground above the middle of the runway before adding thrust and lifting back into the sky at the end of the runway. 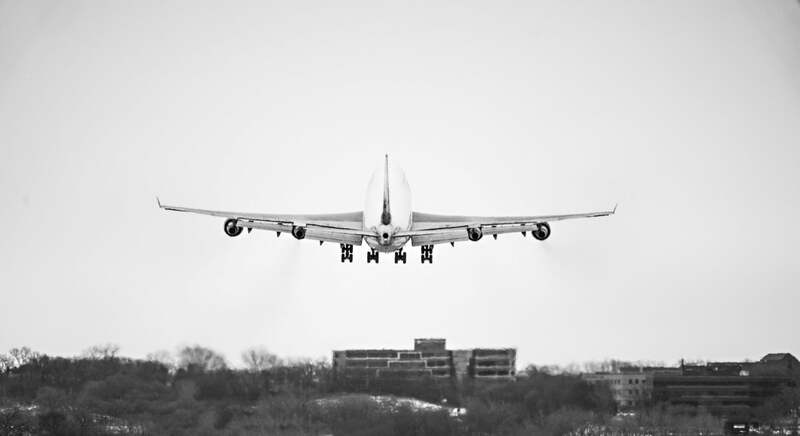 Then, after making a final pass around Minneapolis, the 747 came in to land. 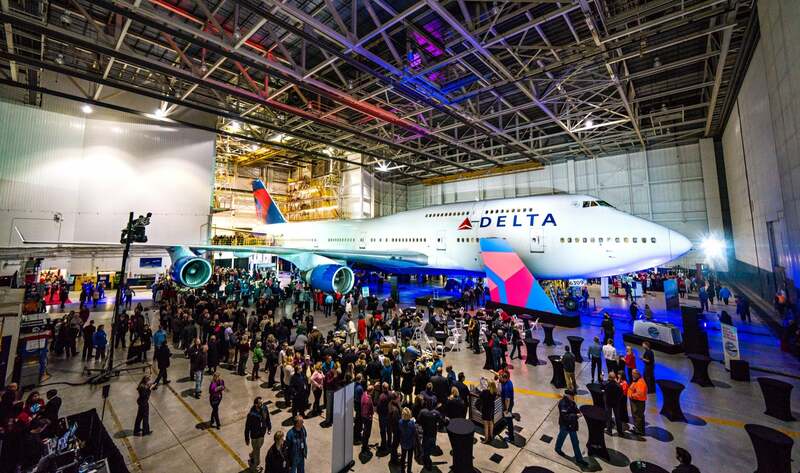 There was a party being set up for the occasion in a nearby hanger where Delta employees and others could say their final goodbyes to their Queen. Before that, a smaller and more intimate celebration took place where the aircraft had temporarily parked at gate G9. 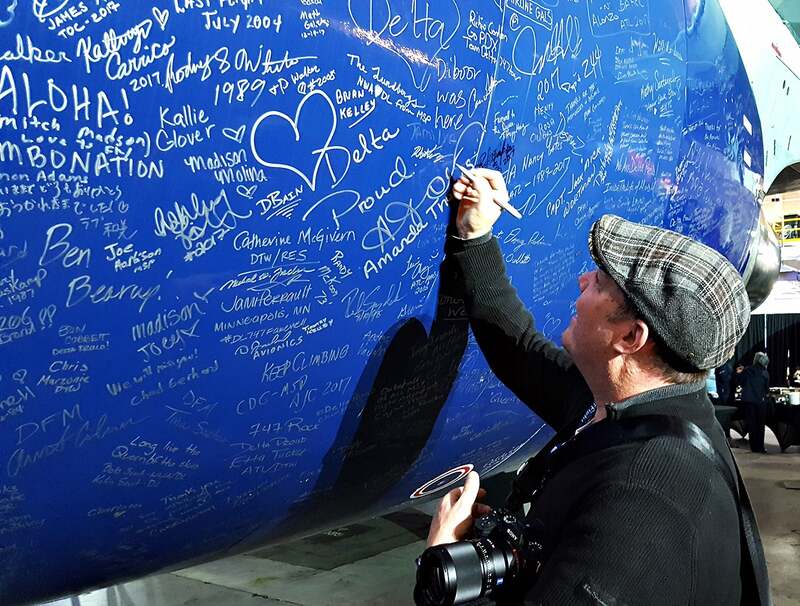 I was there as the local ground crew and a few others came out to see her and sign their names on the engines. Sony α7R III. Sony 12-24mm f/4 G lens. 1/320-sec., f/5.6, ISO 1000. After moving the Queen out of the 15-degree weather and into the hanger, I was able to get inside the aircraft as the final details for the event were being set up. I was given free reign to shoot whatever I wanted on the plane. My mindset was to shoot the things we see when we fly, but never get the time or opportunity to photograph, let alone in an empty airplane and one that’s now a part of history. My first destination was the cockpit, where I spent at least twenty minutes shooting. I selected two lenses to use in the cockpit: First I used my Sony 12-24mm f/4 G for the wide angles and showing as much of this cockpit as I could. To focus on close ups of different controls and details in the cockpit I used one of my favorite lenses, my Sony 50mm f/1.4. With its wide maximum aperture and tighter focal length, I could shoot the yoke and the throttle handles wide open with a shallow depth of field. 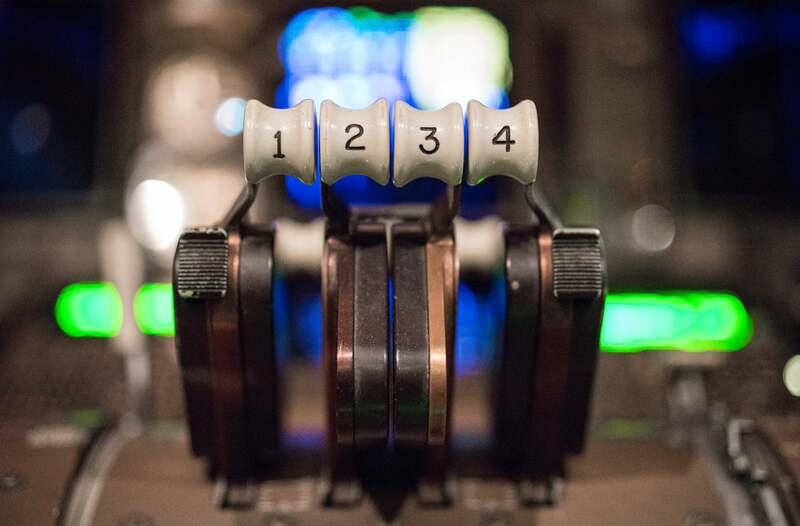 I wanted to isolate these iconic controls without the distractions of the gauges and switches in the background. I knew the α7R IIII's low-light capabilities so in the low-light conditions, I pushed the ISO to 20,000. Sony α7R III. Sony 50mm f/1.4 lens. 1/160-sec, f/1.4, ISO 20,000. Sony α7R III. Sony 50mm f/1.4 lens. 1/250-sec, f/1.4, ISO 20,000. Next, I moved to the empty galley on the upper deck of the plane. I was attracted to the repeating patterns of the food and beverage carts in the tiny square room. I wanted to shoot images that could be offered as fine art images that would potentially appeal to aviation enthusiasts. I was trying to see into the future and guess what would be the most nostalgic imagery and the galley had that for me. In the tight space, I used the 12-24mm taking care to keep the camera parallel to the carts to minimize any wide-angle distortion. 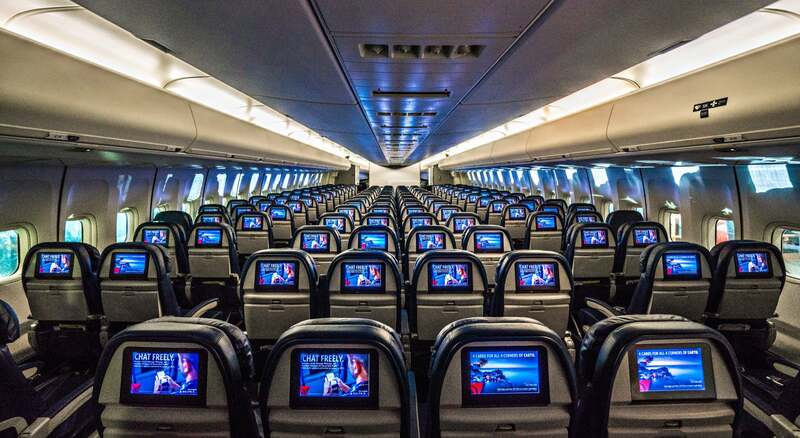 Walking forward from the tail of the aircraft I was struck by the sea of television screens in the headrests of each seat. I tried a few different angles looking for the best shot, and ending up with the view from the rear center of the aircraft, looking forward. I used the 12-24mm again and because I wasn’t using a tripod, I took advantage of the in-body stabilization and electronic shutter in my α7R III. I set the exposure at 1/40th of a second at f4.5, braced myself on the back of the seats and fired away in 10 fps bursts. I’ve used this technique of shooting in bursts many times to get at least one of the images sharp. It works because as you press the shutter and hold down the shutter button, your grip stabilizes and a few frames into the burst, the pictures sharpen up. To show the overall celebration with the 747 in the hanger, I also used the 12-24mm for a wide shot. I knew where I wanted to take the photograph from a high angle. The only problem was getting there. I learned a long time ago, you have to ask for what you want, so I went up to the Delta event planner and asked, as if it were no big thing if I could get a scissor lift in the corner so to get up high and take a picture? Boom, a few minutes later, one appeared. 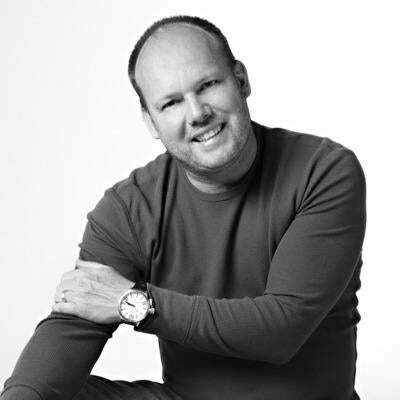 This turned out to be Delta’s and the event company’s favorite image. It pays to be bold. I even got to put my own John Hancock on her engine. Long Live The Queen.